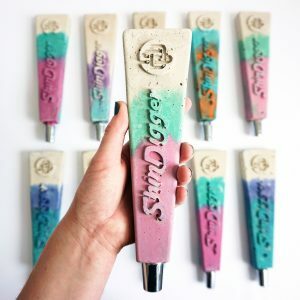 Emma McDowall is an emerging artist & maker based in Edinburgh, Scotland. 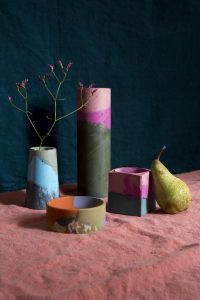 Emma initially studied Textile Design at Gray’s School of Art, after graduating she took her love for colour and texture and expanded into new materials and more sculptural forms. 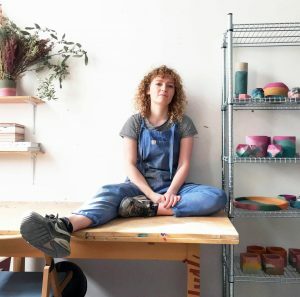 In 2016 she founded her brand ‘Studio Emma’ which showcases colourful concrete vessels and home wares. 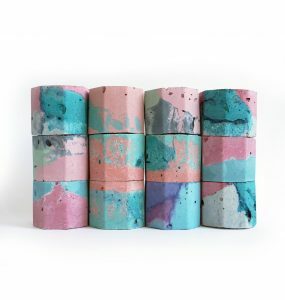 Working with imaginative colour combinations to create freeform patterns and surface textures, her handcrafted designs play on the unpredictable and the imperfect, taking shape as bold, decorative pieces, each of which is entirely unique. 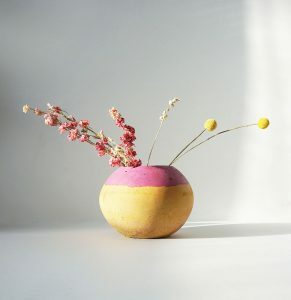 Emma has stockists across the UK including Liberty London, the Design Museum, the TATE and the V&A.